In the emergency situation, we often hear different information about number of casualties and damage, also uneven aid distribution, lack of cooperation between the various stakeholders and so on. Situations like this are usually caused by a lack of coordination among stakeholders or related agencies. To deal with the above situation, we need a command system to coordinate, control, monitor and evaluate emergency response activities. 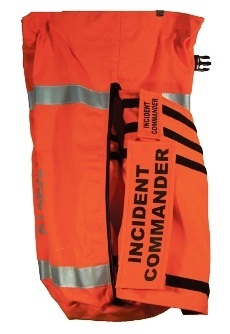 The command system is also known as the Incident Command System (ICS). In general, the command system of the emergency response is a disaster emergency management system that is used to synergize and integrate the use of all available resources, human resources, equipment and funds or budget. The Incident Command System (ICS) is “a systematic tool used for the command, control, and coordination of emergency response” according to the United States Federal Highway Administration. A more detailed definition of an ICS according to the United States Center for Excellence in Disaster Management & Humanitarian Assistance is “a set of personnel, policies, procedures, facilities, and equipment, integrated into a common organizational structure designed to improve emergency response operations of all types and complexities. Emergency standby (preparedness) phase. Establishment of command system at this stage is usually performed for the type of disaster that happens gradually, like a flood or volcanic eruption. At this stage, operations control center is usually located in the region concerned (provincial / district / city). Emergency response phase. Establishment of command system at this stage is usually performed for the type of disaster that occurs suddenly, such as earthquakes, tsunamis and landslides. Transition phase from emergency response phase to recovery phase. 2. Assignment of Rapid Response Team. Based on the information about the initial event of disaster, the government or relevant agencies send Rapid Response Team to immediately conduct a quickly and accurate assessment also to provide the necessary support services for emergency response. The results of assessment from Rapid Response Team will be an input and consideration to the Government or related agencies to determine the next steps or to determine the status or level of disaster. 3. Determination status or level of disaster. Based on the input from Rapid Response Team (point 2 above), the government will set a status or level of disaster. At this stage the Government will also sometimes assign an officer as a Commander for Disaster Emergency Response in accordance with state or disaster level (national or regional scale). 4. Establishment of Disaster Emergency Response Command. Government in this regard the President / Governor / Regent / Mayor will issue a decree forming Disaster Emergency Response Command and immediately activate it. Mobilization of all resources is also usually done at this stage. Emergency Command System is typically a single command organization. The chain of command and responsibilities are clearly. Usually all stakeholders will be coordinated within the organization is based on a unity of command. This organization can be formed at all levels of the region, at the central / national, provincial and district / city. The organizational structure above can be narrowed or expanded based on the needs. In Canada there is IMS – Incident Management System. Same concept though. Do you find that when all the agencies get together for a scenario there are communication problems usually arising from radio communications? @rubbrnckr: yes, same concept IMS and ICS. Problems from radio communications usually arising at the beginning of operations because not all people aware how to communicate with radio, not aware how to operate the handset etc. One standard radio communication need to be shared to all agencies.